Large Final Emitters (LFEs) are those facilities that emit 50,000 tonnes (50 kT) or more of carbon dioxide (CO2) equivalents per year. These facilities are required to report their greenhouse gas (GHG) emissions to Statistics Canada. In 2009, the reporting threshold was reduced from 100 kT to 50 kT. This made the reporting more stringent. 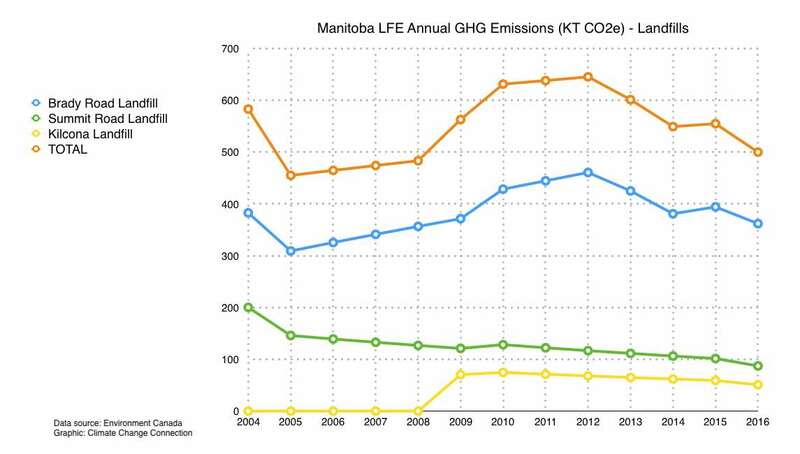 In 2016, Manitoba had 9 LFEs. Six of these were industrial emitters and three were landfills. 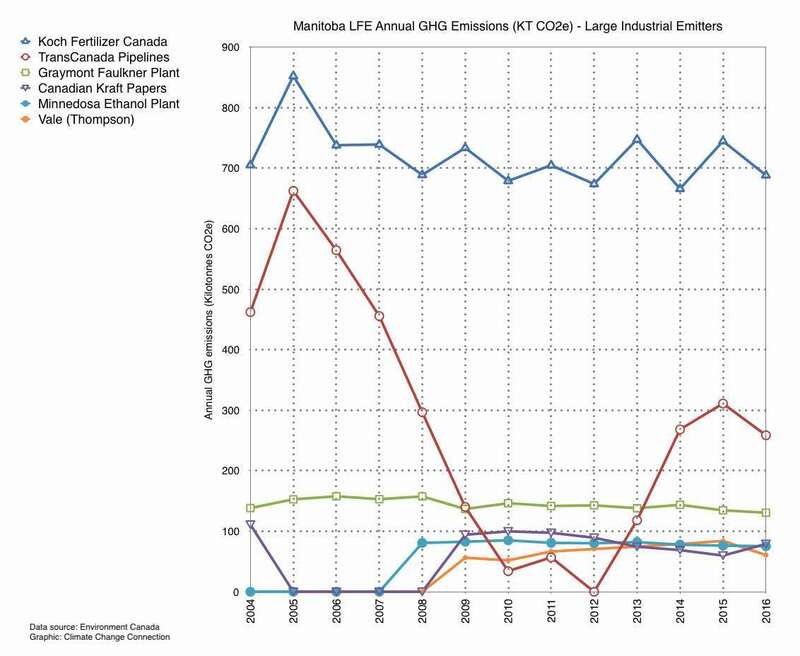 Together, these nine facilities accounted for about 8.6% of Manitoba’s total GHG emissions. Figure 1 shows how annual emissions from the 6 industrial facilities that were above 50 kT in 2016 have changed from 2004 to 2016. These 6 facilities accounted for about about 6.2% of Manitoba’s total GHG emissions in 2016. The following table shows each facility’s total emissions for 2016 expressed in kilotonnes CO2 equivalent (CO2e). In 2015, operations in the tar sands in Alberta (“non-conventional oil extraction”) generated 62 megatonnes of CO2e GHG. This is equivalent to 14 thousand cars and does not include the emissions from burning the fuel that is extracted. This is 3 times all of Manitoba’s emissions that year. The Sundance Power Plant – a single coal-fired electricity generating station in Duffield, Alberta generated over 14 megatonnes of CO2e in 2015. This is 70% of Manitoba’s total emissions for that year – from a single facility!